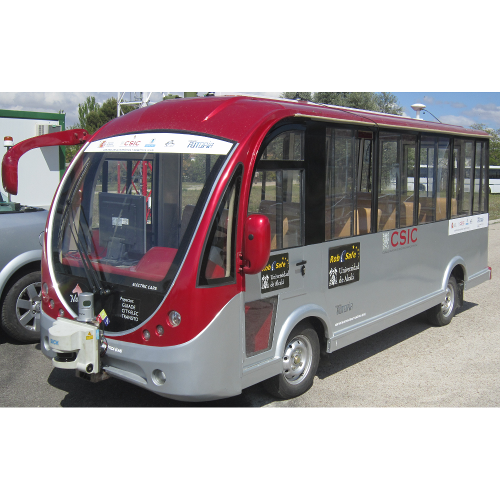 Financed by the General Traffic Division of Spain (DGT), Ministry of the Interior. Financed by the Spanish Ministry of Economy and Competitiveness (MINECO). Financed by the Spanish Ministry of Science and Technology (MICINN). Parking assistance system for leaving perpendicular parking lots in daytime/nighttime conditions. Financed by the University of Alcalá (UAH). Financed by the Regional Goberment of Madrid and the University of Alcalá (CAM-UAH). SMARTCROSS - Intelligent Management of Pedestrian Crossings. Part II. 2014. Company: CI3. EMERITA - Efficient Energy Management of Geothermic Building. 2014. Company: CI3. IRXCAM-SDK - SDK for FLIR Camera IRXCAM for Aerospace Applicacions. 2013. Company: Orbital Aerospace. 2D/3D Railway Geometry Monitoring. 2013. Company: Grupo Euroconsult. 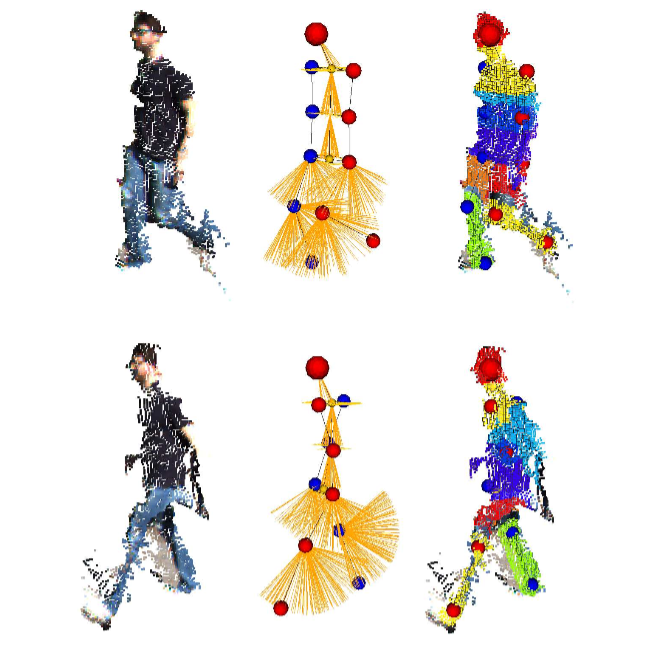 Stereo-based Pedestrian Detection for ADAS Demo. 2013. Company: KDPOF. SMARTCROSS – Intelligent Management of Pedestrian Crossings. 2011. Company: CI3. CARPARK Part III - Vision-based car park management. Part III. 2010-2011. Company: IMAGiNA Visión Artificial. CARPARK Part II - Vision-based car park management. Part II. 2009. Company: IMAGiNA Visión Artificial. CARPARK - Vision-based car park management. 2008. Company: IMAGiNA Visión Artificial. TRAFFIC Part II - Vision-based traffic detection and control. Part II. 2008. Company: IMAGiNA Visión Artificial. TRAFFIC - Vision-based traffic detection and control. 2007. Company: IMAGiNA Visión Artificial. SEGVAUTO-TRIES: Safety, efficient and intelligent vehicles and transportation. Scientific Responsible: M. A. Sotelo, 2014-2018, Financed by the Regional Government of Madrid, Spain. ROBOCITY2030-II: Service Robots for Improving the Quality of Life of Citizens in Metropolitan Areas. Second Part. Scientific Responsible: L. M. Bergasa, 2010-2013, Financed by the Regional Government of Madrid, Spain. GUIADE - Automatic guidance of public transit vehicles by multimodal perception for improved traffic efficiency. Scientific Responsible: M. A. Sotelo, 2008-2011. Financed by the Spanish Ministry of Science and Innovation (MICINN). VISETRAF - Visual localization and recognition of traffic signs including radio-frequency systems. Scientific Responsible: Miguel A. García-Garrido, 2011, Financed by the University of Alcalá, Spain. IEEE IV12-Complementary Action. Scientific Responsible: M. A. Sotelo. 2011. Financed by the Spanish Ministry of Economy and Competitiveness. 2020 CITY: Towards a new model of smart city. Scientific Responsible: Alonso Bautista. 2011-2014. Financed by the Spanish Ministry of Economy and Competitiveness. MARTA - Advanced Mobility in Transport and Automotive Networks. 2007-2010. CENIT Project. Spanish Ministry of Industry. TRANSITO - Vehicle-Infrastructure local coordination system. Scientific Responsible: M. A. Sotelo, 2008-2011. Financed by CICYT, Spain. ENVITE - Vehicle-Infrastructure cooperation and communication for monitoring intersections and critical road sections. Scientific Responsible: M. A. Sotelo, 2006-2009. Financed by the Spanish Ministry of Development. CYBERCARS II - Cybernetic Cars for a New Transportation System in the Cities. 2006-2008. European Commission, VI Framework Programme (collaboration with CSIC). VAMP - Vision system for ambient monitoring applications. Scientific Responsible: Gerard Lacey, 2006-2008. Financed by Enterprise Ireland. ENDOVIEW - Scientific Responsible: Gerard Lacey, 2006-2007. Financed by Enterprise Ireland. VEGLOPOS – Vehicle Global positioning enhancement using visual odometry. Scientific Responsible: M. A. Sotelo, 2007. Financed by the Regional Government of Madrid. ACI – International Cooperation with China and Australia for the development of Intelligent Transportation Systems. Scientific Responsible: M. A. Sotelo, 2005-2008. International Complementary Action. Financed by the Spanish Ministry of Education and Science. 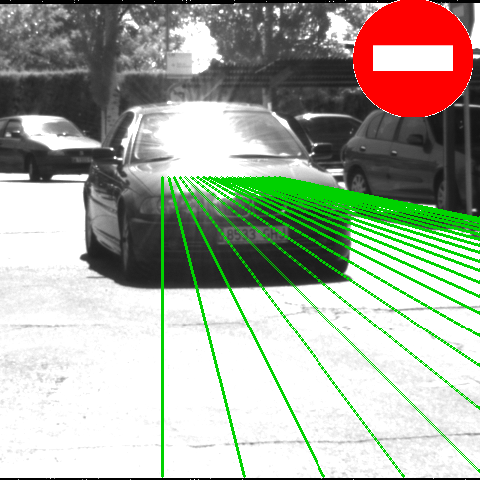 SIMAN – Multiple Blind-spot vehicle detection for road safety applications. Scientific Responsible: M. A. Sotelo, 2005-2008. Financed by CICYT. Spain. RECIS Network. Scientific Responsible: M. A. Sotelo, 2005. Financed by the Spanish Ministry of Industry. 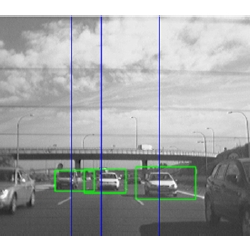 ISAFAT – Intelligent Computer Vision Tools for Safe Driving in Automotive Applications. Scientific Responsible: M. A. Sotelo, 2002-2005. Financed by the Spanish Ministry of Development. ISAAC – Sensorial Integration for Assisted Active Driving in Automotive Applications. Scientific Responsible: M. A. Sotelo, 2002-2005. Financed by CICYT, Spain. FreeFlow – Intelligent Traffic Monitoring in Free-flow mode. Scientific Responsible: M. A. Sotelo, 2014-2015. Company: 3M. Rockie - III – Road Crack detection and analysis. Part III. Scientific Responsible: M. A. Sotelo, 2010-2011. Company: ACCIONA ING. Rockie - II – Road Crack detection and analysis. Part II. Scientific Responsible: M. A. Sotelo, 2009-2010. Company: AEPO. Rockie – Road Crack detection and analysis. Part I. Scientific Responsible: M. A. Sotelo, 2008-2009. Company: AEPO. VISUALISE - IV – Visual Inspection of Signs and Panels. Scientific Responsible: M. A. Sotelo and L. M. Bergasa, 2009-2010). Company: Euroconsult. VISUALISE - III – Visual Inspection of Signs and Panels. Scientific Responsible: M. A. Sotelo and L. M. Bergasa, 2008-2009). Company: Euroconsult. VISUALISE - II – Visual Inspection of Signs and Panels. Scientific Responsible: M. A. Sotelo and L. M. Bergasa, 2007-2008). Company: Euroconsult. VISUALISE - – Visual Inspection of Signs and Panels. Scientific Responsible: M. A. Sotelo and L. M. Bergasa, 2007). Company: Euroconsult. NightADAS II – Advanced Driver Assistance Systems: driver drowsiness detection, occupants monitoring and nightly pedestrian detection running on a demo-car. Part II. Scientific Responsible: M. A. Sotelo and L. M. Bergasa, 2010. Company: Ficosa International. NightADAS – Advanced Driver Assistance Systems: driver drowsiness detection, occupants monitoring and nightly pedestrian detection running on a demo-car. Scientific Responsible: M. A. Sotelo and L. M. Bergasa, 2009. Company: Ficosa International. .
PedDiag – Pedestrian detection and Diagnosis Functions. Scientific Responsible: M. A. Sotelo and L. M. Bergasa, 2008. Company: Ficosa International. Democar – Demonstration Car equipped with ADAS. Scientific Responsible: M. A. Sotelo and L. M. Bergasa, 2007. Company: Ficosa International. 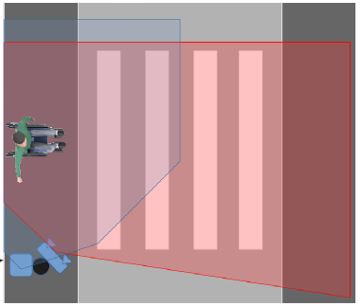 LDWS – Lane departure warning system. Scientific Responsible: M. A. Sotelo, 2006-2007. Company: Ficosa International. Adaptive Light Control. Scientific Responsible: M. A. Sotelo, 2006. Company: IEE (International Electronics & Engineering) S. A.
PedProtect - II – Stereo-vision system for anticipated pedestrian detection in pre-crash safety systems. Part II. Scientific Responsible: M. A. Sotelo, 2005. Company: National Institute of Aeronautic Techniques (INTA). 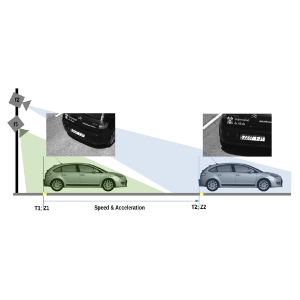 PedProtect – Stereo-vision system for anticipated pedestrian detection in pre-crash safety systems. Scientific Responsible: M. A. Sotelo, 2004. Company: National Institute of Aeronautic Techniques (INTA). IEEE Intelligent Transportation Systems Society Young Research Award 2018 (under 40, received at 37). Social Transfer Council Award, 2018, by University of Alcalá. Best National Patent Award and PCT Extension, 2017, by University of Alcalá. Best Team with Full Automation in the Grand Cooperative Driving Challenge 2016. Security Forum Finalist Award, 2015, by Ediciones Peldaño S. A., Security Forum. IEEE ITSS Outstanding Application Award, 2013, by IEEE Intelligent Transportation Systems Society. Best Young Researcher Award of the University of Alcalá, 2013, by the University of Alcalá (under 35 years old). Best PhD Thesis in Telecommunication Engineering of the University of Alcalá, 2010, by the University of Alcalá. Best Research and Innovation 3M Award. Category: Road Safety, 2009, by the 3M Foundation. Best Automotive Research Work in Spain, 2008, by the Barreiros Foundation. Best Telecommunication Engineering Student. Conceded by IVECO S. A. 2004. 2nd Best Master Thesis Award on Road Safety , by the ADA Lectureship. Premiado un sistema de paso peatonal inteligente para personas con discapacidad, diseñado en la UAH. Puerta de Madrid. 16/05/2015. PDF. Un coche con visión artificial chequea el consumo de energía en los edificios. La Provincia. Diario de las Palmas. 15/02/2013. URL, PDF. David F. Llorca, un Premio a la investigación en sistemas inteligentes ligados a la conducción. Diario digital de la Universidad de Alcalá. 29/11/2013. URL, PDF. Stereo 3-D cameras locate pedestrians for Daimler. Vision Systems Design. 01/02/2012. URL, PDF. Un español colabora con Daimler en el desarrollo de un sistema capaz de detectar la presencia de peatones en menos de 200 milisegundos. Autobild. 08/02/2012. URL, PDF. David Fernández Llorca, un investigador para los ‘ojos’ de Mercedes-Benz. Diario digital de la Universidad de Alcalá. 16/03/2012. URL, PDF.